With New Zealand’s first three opponents in the 2017 FIFA U-20 World Cup now determined, George Debenham has taken a unique approach in his preparations, jumping at an opportunity to join Papua New Guinea’s Lae City Dwellers in the 2017 OFC Champions League. “I play with a Papua New Guinean at Western Springs and he said there might be an opportunity for me to play in the Champions League,” he said. “I said I was keen so he said ‘Cool, so do you want to get on a plane for a pre-tournament tour of Fiji’, and I said yes. It kind of just happened. Drawn in a tough groups for both competitions, the New Zealand U-20 player believes the experience playing against Solomon Islands’ Western United, Vanuatu’s Malampa Revivors, and New Zealand’s Auckland City in the region’s premier club tournament will give him a good taste of international football ahead of the World Cup clashes against Vietnam, Honduras, and France in May. “I’m so glad that I had the opportunity to play at this level with these guys. It’s a high level and these guys are almost worshipped in Papua New Guinea. Half the squad is in the Papua New Guinea national team,” he said. Lae City Dwellers’ style of play is definitely new to Debenham, but the 20-year-old believes he has become a more versatile player after learning their combinations and adapting to the Papua New Guinean style of play. “It’s a bit frantic defensively, there’s not as much structure, but going forward they are a bit more on the same wave length, the attacking players are really in sync,” he said. Debenham is hopeful that his experience with Lae City Dwellers will give him a unique edge to help him stand out in team selection and secure him a place in the New Zealand line-up when the U-20’s travel to South Korea. “I know we have the potential to do well in the World Cup but my goal is to just make the squad first,” he said. 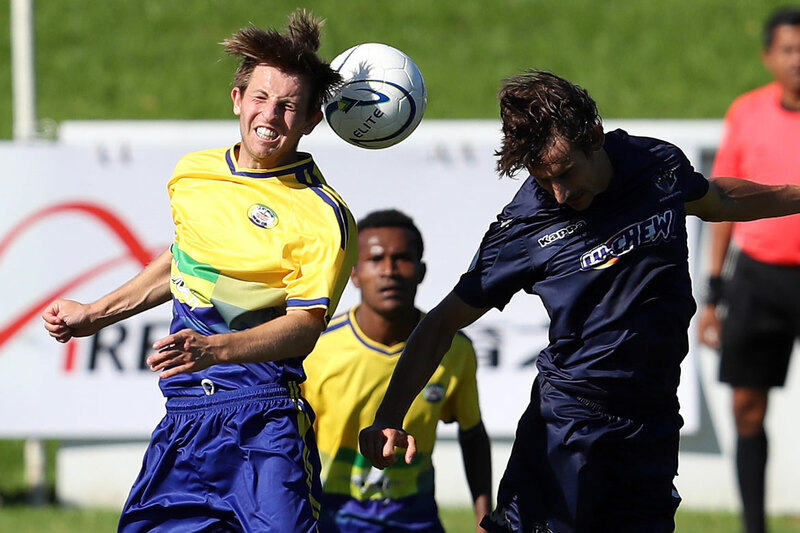 With May fast approaching, the Lae City Dwellers winger has one more OFC Champions League match against Western United before he switches back to preparation for Korea, and Debenham is determined to finish with a win. “We watched most of their games and they won’t be easy, they kept Auckland City out until the last few minutes, but we feel like we can take them,” he said.